There are several health conditions and sleep disorders which interrupt the normal restful healthy sleep and it could be a problem for any person. Medical scientists developed different types of special pillows which could be a solution for different types of sleep disorders and/or different health conditions. Choosing the best pillows for sleeping is important to good sleep. 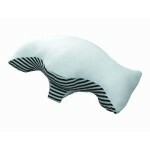 Best pillows must be both comfortable and provide anatomically correct alignment for the head, neck and spine. Most pillows are designed for people who sleep on their backs, but are uncomfortable for side sleepers or people who sleep on either their back or sides. By choosing a pillow that is designed for sleeping on either your side or back, you may sleep more comfortably through the night. Sleeping position and special anti-snoring pillows are very important in prevention of snoring in women. When during sleep women lie on their backs, gravity pulls the palate, tonsils and tongue backwards – this often narrows the airway enough to cause turbulence in airflow, tissue vibration and snoring. 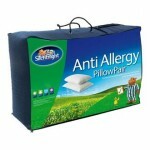 Special anti-snoring pillows can easily prevent mentioned narrowing and stop snoring. Snore relief pillows have unique shape that promotes healthier side sleeping and women can get better night sleep, night rest and feel less fatigued and full of energy during whole following day. During pregnancy women experience pretty complicated body changes which insure normal baby development. Increased weight, enlarged belly and breasts could create a lot of problems during normal sleep. It is essential to get enough and comfortable sleep during pregnancy. The ideal solution for pregnant women could be pregnancy pillows and/or maternity pillow because they are designed to support the entire pregnant body posture during relaxation in the bed (from head to toe). Most pregnancy sleeping pillows are usually designed to position in between the legs and knees while the woman sleeps on her side of the bed – these sleeping pillows help pregnant women to choose the comfortable preferred positions during sleep and/or relaxation. Water pillows are comfortable and fully adjustable – you can modify your level of comfort whenever you desire by adjusting the volume of water in your pillow. Leg pillows support and align our lower body, relieving pressure on lower back, hips, legs, knees and spine while you sleep. Leg pillows fit the curves of your legs – insuring comfortable long night sleep. Ergonomic leg, knee and hip pillows designed to fit your lower body support needs. Leg pillows are designed to relieve lower back pain, relax muscles and reduce pressure on hips, knees and ankles. It is very easy and affordable way to reduce pressure and provide comfort for lower back, hips and knees during whole night. Knee pillows help to relieve pressure in the hips and lower back and are a helpful tool for anyone who has an achy back or who wants extra support for the spine. In most cases knee pillows are used for side sleepers. This type of sleeping device helps to open the hips, keeps the knees separated, encourages circulation and keeps stress off the spine and lower back. If you are sleeping on the side, bending the knees and placing a pillow between the knees prevents the knees from coming together and keeps the spine in the neutral position. When there is no support between the legs, the upper leg rotates downward, pulling the pelvis, and distorting the natural line of the spine. Choosing the right pillow you can prevent neck and shoulder pain. For example, water filled pillow reacts to changes in positions and supports the head and neck equally in the side or back sleeping positions. There are several different types of travel pillows – inflatable travel pillows, the compressible pillows, down travel pillows, air-core pillows. Shape of travel pillows also can be different. Most common are “U” shaped travel pillows that are curved to fit snuggly around the neck and can be used for sleeping or supporting the head when in a seated position. These types of pillows prevent the head from bending too far to one side or the other. “U” shaped travel pillows also create a support so that the weight of the head is partially taken care of by the pillow – this relieves some of the work done by the muscles keeping the head up and may be beneficial while sleeping in a sitting position (in airplane, train or car).